For the past year no visitor to Thailand on government business has been spared the pre-sales spiel on the country’s plans to develop its eastern seaboard into a major economic corridor. With the Eastern Economic Corridor Development Act (EECDA) coming into effect mid last month the government kicked off its selling of the project with a briefing for foreign diplomats from more than 50 countries in Bangkok yesterday, June 7. Coming ahead of a scheduled visit to Europe by Prime Minister General Prayuth Chan-o-cha, the briefing is seen as paving the way for one of the main topics on his agenda as he meets with government and industry leaders in France, and England later this month. 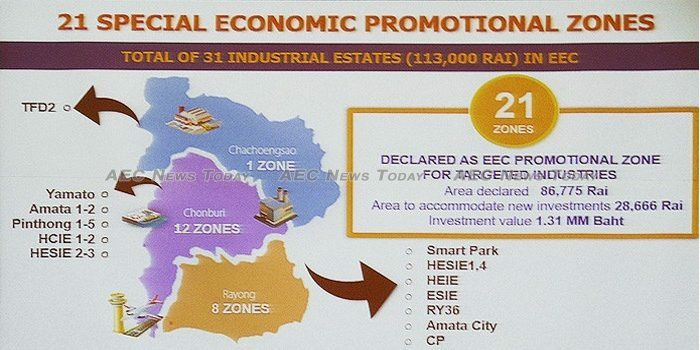 Comprising three ‘zones’ stretching between Chachoengsao to the east of Bangkok and Rayong on the eastern Gulf of Thailand, 21 zones comprising a total area of 139 square kilometers (about 54 square miles) have been declared as ‘EEC Promotional Zones’; 46 square kilometers ( 18 square miles) of which is available for new investment. With rail, air, and sea connections, the EEC not only connects the CLMV (Cambodia, Laos, Myanmar and Vietnam) and the wider region, but ultimately the region to the world, the gathering was told. Assuring those present that the EEC represented a “win-win” situation for Thailand and the foreign companies who choose to invest in it, Minister of Industry, Dr Utama Savanayana, said extensive consultation has been undertaken with international experts to formulate a cohesive, sustainable, and integrated solution. Assuring the visiting dignitaries that wide-spread consultation is undertaken with all stakeholders before any decisions are made that may affect them, Dr Savanayana said “we will not allow projects to proceed that are not in the local communities’ best interests”. Protection for the environment is the third principle of the EEC, he said, and “vital to the communities in the EEC, the country, and the world. All EEC projects are subject to rigorous evaluation to ensure they meet the latest standards and don’t harm the community or the environment”, he said. For businesses that Thailand considers key to achieving its goals generous incentives are available, however only 116 categories of business currently qualify for the choicest, which includes the waiver of corporate income tax (cit) for up to 13 years. Additionally, EEC companies will be able to use foreign currency to settle payments in the zone. 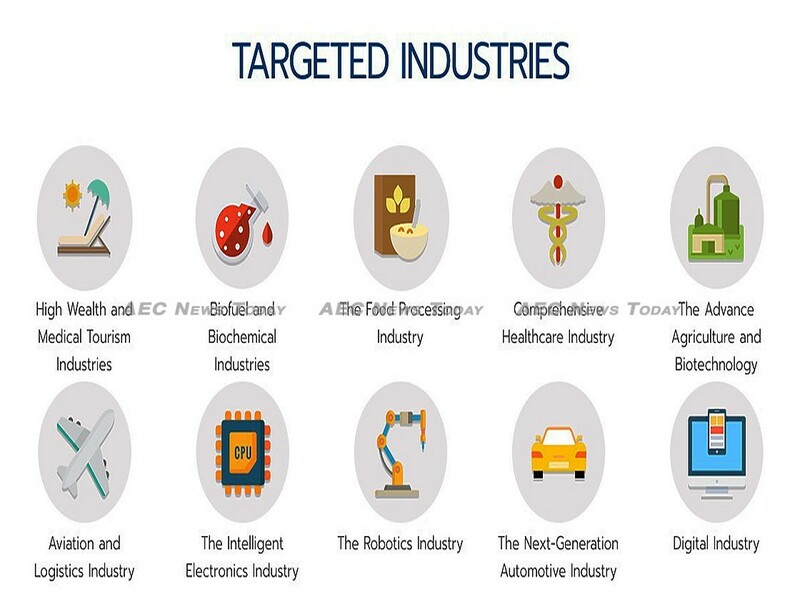 Receiving the best deals are those in the ‘First S-Curve industries’ — next-generation automotive, smart electronics, medical and wellness tourism, “food for the future”, and agriculture and biotechnology — and five ‘New S-Curve industries’ — automation and robotics, aviation and logistics, biochemicals and eco-friendly petrochemicals, digital businesses, and medical hubs. While investors can rent land for up to 99 years — or a 50-year lease with the option for a further 49 years — projects requiring land ownership will require a majority Thai ownership. For some others the foreign ownership cap has been raised to 75 per cent, Duajai Asawachintachit, secretary-general of the Board of Investment (BOI) said. Other incentives available to those who meet the criteria are exemption from import duties on equipment and raw materials, and a special income tax rates of 15 per cent and 17 per cent for foreign executives and employees respectively employed in EEC companies. Six key projects worth a combined Bt608 billion (US$18.970 billion) form the vital organs of the EEC, with everything else forming the muscle and skeletal frame around it. At the heart is U-tapao airport, a 250 kilometers-per-hour (155 mph) high speed train putting Bangkok’s two airports less than one hour away and a separate dual tracked freight line from Bangkok – Rayong its arterial system. To be built on a public-private partnership (PPP) basis, along with the expansion of the Laem Chabang and Map Ta Phut ports, and the EEC Digital Park Thailand, Kobsak Pootrakool, Mnister attached to the Prime Minister’s Office, took great delight in informing diplomats that the time from bid submissions to contract signing had been slashed from the previous 40 months to just 8-10 months. More importantly for foreign investors, the six core projects are said to be ‘politician proof’, with all contracts expected to be awarded by the end of this year, several months ahead of the Thailand general election tentatively scheduled for February 2019. 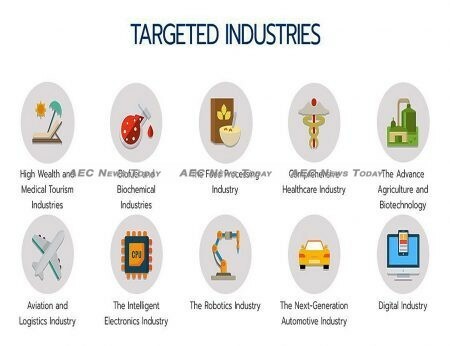 According to Dr Savanayana it is expected that more than US$43 billion will be invested in the EEC over the next five years, with the BoI expecting investment’s in the ten S-Curve industries this year to top Bt300 billion ($9.36 billion). Entwined and integral to the Thailand 4.0 policy aimed at the broad use of technology across all sectors of society and in all business areas, a condition on EEC approval will see the requirement for companies to provide apprenticeships. Recently the Ministry of Labor said some 30,000 technical and vocational workers are required to meet the needs of the EEC. Additionally, EEC companies will have a freer ability to employee foreign expertise, though a Bt200,000 ($6,240) minimum monthly salary, or an investment of $624,000 to qualify for the recently announced four-year ‘smart visa’ is not seen by many as particularly beneficial. While it might appear that Thailand is placing all of its eggs in one basket, this is not the case says Ms Asawachintachit, noting that for companies that neither need, want, or don’t fit with the profile of the EEC, attractive concessions for investing in other parts of the country better suited to their needs are also available. 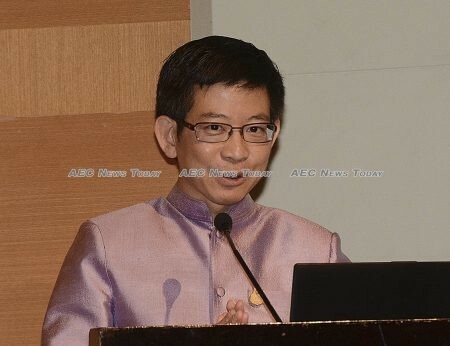 While a dedicated EEC development office has been established, foreign investors interested in being early residents of the EEC are advised to contact Thailand’s BoI, unless they have particularly complex or unique requirements, Kanit Sangsuphan, secretary-general of the EEC Office said.